Tom Petty certainly knew what he was talking about! Most definitely, waiting and listening are two highly under-practiced virtues in our midst. Silent reverence and holy non-activity would help more than a few believers I know. Bravo! Having lived in Africa for a year, I can well imagine that a brute force attempt at “fixing a problem” would not work. The complex a problem, the more time consuming and complex the solution. The greatest example of patience and timing is presented in the scarlet thread of redemption that flows through the 4000 years of the Bible. From the day that God told Eve that her offspring would crush the head of the serpent to the revelation of Jesus as presented to John, God has shown infinite patience and perseverence, often using flawed individuals with no resourses at hand, to accomplish what He set out to do. We are to give our lives up for the desires of God, and we can expect to live 80 or so years. What’s the hurry, other than to show one another, (in what could only be called boasting) what we have accomplished? We need to step back from our projects and consider our reasons. And as for those who smirk and strut over the failures of others: At least they tried. It’s more than most can say. “What have you done for orphans in Swaziland?” – this statement has no bearing on the rightness or wrongness of Wilkerson’s actions. It also bears an implicit accusation that Wilerson’s critics have done nothing. I am no apologist for Bruce Wilkinson. I found his book to be appalling in its suppositions. I am no apologist for Rick Warren, either. I’m no supporter of PDL and found many of the things he said in his books to be awful. You are right that my statement has no bearing on the rightness or wrongness of Wilkinson’s actions. However, this does not excuse the gloaters who are gleefully jumping up and down on the comatose body that is the Dream for Africa project, or on Wilkinson. No real Christian would delight in the failure of such a project, no matter how much they detest Bruce Wilkinson or Rick Warren. I think that most people out there have been in at least one ministry that failed or did not live up to expectations. If any of us would like to cast that first stone at Wilkinson…well, you get my point. Many may feel free to disagree with the manner in which Wilkinson chose to implement his outreach, but be careful when judging his reasons for doing so. The measure by which we judge him is the same measure that will judge us. In that case, if someone is critical of Wilkinson, but HAS done much to combat AIDS and help the cause of orphans in Swaziland, then there is no fear of judgment on that person, is there? But if we have done nothing, then who are we to point fingers at Wilkinson and not at ourselves? I will be the first to say that I have done nothing for the cause of stopping AIDS in Africa or helping orphans in Swaziland, so I am under judgment for my lack of concern. As a result, I will in no way hoot and holler over Wilkinson’s desire to help in that regard, even if I do disagree with some of his theology. My only hope would have been that he had waited on the Lord to work out the details before pulling the plug. This is a sad and miserable object lesson for all of us. That is the point of my post. More than anything else, I am deeply saddened by the outcome. All of us should be, whether we like Bruce Wilkinson or not, because in the end, hopes are dashed. Wilkinson will have to live with that burden, but that does not mean that any of us should add to it. Sometimes, God grants requests to prayers like the prayer of Jabez. Sometimes, Jesus calms the storm. How many storms were on the Sea of Galilee during Jesus’ lifetime? And how many did he calm? I’ve read the Prayer of Jabez book. I find it reprehensible that Mr. Bruce Wilkinson would SELL this book. If it is, indeed, truth, then selling it is the worship of Mammon. As Christ himself said, “Freely ye have recieved; freely give.” The bible is free. For Wilkinson to sell this “special knowledge” is hypocrisy of the highest order. For Wilkinson to leave the people of Swaziland in the lurch is trust-breaking. For him to forget the admonition of Christ about the unjust judge in comparison to God (sometimes we need to ask many times!) is ludicrous. I have never trusted the man. It’s not that his systematic theology is bad – it’s that his systemic theology doesn’t exist anymore. I disagree with Bruce Wilkinson, but I take no pleasure in seeing his ministry in Africa fail. Likewise, I took no pleasure in the fall of the ministries of Jim Bakker, Jimmy Swaggart and Robert Tilton in the 1980’s despite my disagreement with their theology. I mourn the damage that has been done to Christian witness through their mistakes, and I mourn the damage to Christian witness being done by those who attack brothers in Christ who have fallen. I realize I should have added that I mourn the damage to Christian witness being done by those who attack brothers in Christ who have failed as well as those who have fallen. I don’t know who Bruce Wilkinson is, nor have I ever read “Prayer of Jabez”. But, wow, what a sad story the WSJ article is! I would have guessed things could have gone better if his plans weren’t so grandiose to begin with. Why not start small and work up to bigger things? Isn’t that how most successful ventures work? I appreciate Danï¿½s chiding of those that criticize Wilkinsonï¿½s failure in Africa when they themselves are doing nothing themselves to respond the unbelievable orphan crisis that looms over the dark continent of Africa. It is sad that those who delight in tearing into his failure and his theology demonstrate their own theological weakness and hypocrisy by being inactive in the worldï¿½s worst pandemic ever. This speaks a lot louder to me than their passionate rants against Wilkinson and his wildly successful booklet. At the same time I had a certain amount of confusion at best, or disagreement at worst, with the assertion that Wilkinsonï¿½s fault was a lack of waiting on the Lord. This makes no sense to me. I do not understand this kind of spiritual sounding talk. I know that ï¿½those that wait on the Lord renew their strengthï¿½, etc. etc. and certainly see the need to wait on God if you are in a period of silence and needing direction. But when you are in a crisis and action needs to be taken and is clearly mandated by Scripture with children being stranded and in need of urgent care – then the ï¿½wait on the Lordï¿½ line seems weak, unbiblical and unclear. If I am unemployed ï¿½ should I wait on the Lord? Or should I get out there and find a job? If my family is being attacked, should I protect them or wait on the Lord? My admiration of Wilkinson is that, unlike so many Christians, he saw the immediate crisis and did what we ought to do as Christians ï¿½ take immediate and swift action to rescue orphans and widows in their distress. If my child was in distress ï¿½ and someone could help but chose rather to ï¿½wait on Godï¿½, I would find their action dishonoring to God. I John 3:17 is a call to action, not passivity. We cannot ignore the Biblical injunction to care for the orphans in the name of the more vague and ambiguous Biblical injunction to wait on God. The central thesis of Larry Crabbï¿½s ï¿½the Silence of Adamï¿½ is that God expects men to be men ï¿½ and this usually means that we take action as men when called upon to do so ï¿½ and not expect to hear God spell out what must be done. 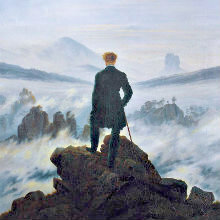 He has equipped us with creativity and compassion ï¿½ and we are to boldly stand as men. This Bruce Wilkinson did and I admire him for doing so. Wilkinsonï¿½s problems were far more related to his determination that he had a solution before he fully understood the problems in Africa, combined with a mistaken assumption that his wealth and popularity would make it easy for him to get his way. This is the concern that many of us have as we watch Rick Warren propose his own P.E.A.C.E. solution to the African crisis that he formulated 6 months after realizing that the crisis existed three years ago. Warren, who loves using acronyms to motivate his followers to action, ought to pay attention to what crippled Wilkinsonï¿½. N.A.I.V.E.T.Y. What is worse with Warren is his criticism of the para-church groups that are on the ground working in Africa in countless ways. At the same time he proposes his own para-church organizations as the answer. The best thing we could see from Wilkinson is an honest recognition of his mistakes. This would at least help others avoid making them. I certainly hope that in so doing we are not told that his mistake was his failure to wait on God. Such an answer would leave me scratching my head. Like the verse I quoted, unless the Lord builds the house, the laborers labor in vain. All things are done under God’s timing. One of the biggest problems with Evangelicals today is their inability to wait on the Lord to put into place the things that will make the work work. A big vision requires God to go first. If Wilkinson wanted to get to work right away, then there is no reason he could not have done a smaller work that was more reasonable. But he had a big idea that required massive amounts of logistical nightmares be put to rest. That requires the hand of God moving according to God’s timetable, not Wilkinson’s. No great revival in history started overnight. It was often the result of years of prayer. We think that we can skip the years it may take for God’s work to come about on Earth. We forget there was four hundred years of silence before Jesus’ first advent. I disagree with Crabb’s thesis that you cite. More than anything else, God expects men to obey Him and to acknowledge that without Him they can do nothing. Waiting does not mean that nothing ever gets done. It only means that what gets done is done God’s way and not Man’s way. I would recommend that you read the works of E.M. Bounds on prayer to get an idea of how prayer, outreach, and God’s timing work together to bring success. Those old saints knew a thing or two about waiting on God that we have no idea about. Perhaps Evangelicals, who acted fast and in a massive way when Katrina hit, ought to still be waiting on the Lord before moving in compassion when Katrina hit. Wilkinson’s plan was a miniscule drop in the bucket compared to the crisis that exists in Africa. In a crisis, we are to be obedient to Scripture. Is your point now that his folly was not his failure to wait on God, but that he should have done something smaller and build up to a larger vision? This may have proven to have kept his shoulder to the plough rather than give up in discouragement, but your wait on the Lord strategy when the Bible is clear that action ought to be taken is still confusing to me. You acknowledge being “judged” for your own lack of action in the crisis. Ought you correct that by getting involved in the crisis? Or ought you and your readers sit back and wait on God to move you to obedience? I also disagreed with Crabb’s thesis at first. After “waiting on the Lord” and meditating on His word, I found myself realizing the truth of it. To a large extend we have lost the truth of being made in God’s image. We are men, and as redeemed men we are to act decisively when crisis hits and take action. Wayne Grudem, is his “Systematic Theology”, encourages the reader not to use God’s sovereignty in our sanctification as an excuse for inaction and laziness. I would add that we ought not use “waiting on the Lord” as an excuse either. The Westminster Confession of Faith has the same warning. I shall read “E.M.Bounds on Prayer” on one the many flights I take to and from Africa. Thanks for recommending it. I know Bruce Wilkinson. I’ve found him to be an excellent teacher of practical spiritual concepts within the Bible. He has a big heart. I’ve read the Prayer of Jabez, and while some people call it a “get rich quick” book, that couldn’t be more inaccurate. It’s a book of Faith, and it has been a positive influence on thousands of people. It’s basic premise that if you ask for God’s help, you’ll get it. Its simplicity is its charm. Perhaps Bruce asked amiss, but that is not for me to judge or to be unkind through unfair criticism of a huge project with the best of intentions. Bravo to what has been accomplished. In Bruce’s case, I’m sure he asked for God’s help, and yet Dream for Africa didn’t move forward as expected. However, what they accomplished in only a couple years was incredible. They planted over a half a million gardens for the villagers there, but in Africa there are myths, superstitions and governmental corruption. These things have existed for hundreds of years. The process takes time, and perhaps if Bruce could have listened a bit more and didn’t try to push his own agenda as stubbornly, then perhaps it could have had a different outcome. What I feel the greatest sadness over are the people that are left without someone to guide them. That, to me, is the greatest loss. Isn’t this exactly what you have done in your blog? Except your “I told you so” is that he should have waited on God and either not acted so largely, or not acted at all (yet) or not given up and continue to wait on God. Either way, you seem to be doing exactly what those you are taking to task`have done….. those who are hypocrites for taking Wilkinson to task – yet doing nothing themselves in this awful African crisis. One last thought Dan, you say that no great revival started overnight – but only after years of prayer. You also say you are looking for a first century church in the 21st century. It seems that the greatest revival occurs days after Christ’s ascension. Thousands were saved daily without the years of prayer and patience that you are arguing for. it also seems that Paul rallied the church to assist in the crisis that occurred in the Jerusalem church. I am on planes all day tomorrow and plan to read E.M. Bounds and try to gain an understanding of what you expect the church to do in the face of the African crisis other than act swiftly. I think you’re missing the bigger picture here. From very soon after Adam fell, men called on the name of the Lord. Those men were praying for a Messiah, the one God promised to Adam and Eve. Even in the intertestamental period of 400 years of silence from God, the righteous were still praying for the Messiah and the revival He would bring. Revival hit Palestine even before Jesus’ ministry began. John the Baptist baptized thousands of people who were ready to prepare the way of the Lord. All of that had thousands of years of prayer behind it. Even in modern times, every great revival was birthed in many prayer closets over time. Even the great George Whitefield sent advance prayer teams years ahead of his revival preaching tours. You refuse to comment on the fact that we are told to be obedient and that the orphan crisis demands a response from the church. Wait on God is not a Biblical answer. I just got my copy of the book your recommend – so maybe I will understand your criticism of Winkinson after I have read it. Having said that, I am not opposed to prayer. But the dominant theme in the great command or the great commission is not “wait on God for years”. Make a Biblical case for how to respond to a massive crisis and you may give me pause to consider your point. Though originally from the USA, I have been a missionary in southern Africa for over 20 years. I know Bruce Wilkinson personally and have a great appreciation for the wonderful contribution he made while in Africa, in spite of his lack of experience with African culture and protocol. The Dream for Africa was/is a marvelous dream, and one that I hope will not die. Contrary to common perceptions, DFA still exists. (www.dreamforafrica.com/index.htm) Though the Swaziland orphan project is on hold and perhaps “dead”, the gardens project is still underway. Only time will tell how much of a success it will be. The Beat the Drum HIV/AIDS school project in Swaziland affected every school in the nation. Though follow-up has been an issue, there can be little doubt that Swaziland’s young poeple are better informed about the importance of wise decisions when it comes to sexual behaviour. After the televised national AIDS conference the previous year, people were discussing the issue everywhere. The tragedy facing Swaziland is complex. Culture, superstition, hypocrisy in the church, sin, and strongholds all play their part. Though most Swazis claim to be Christian, almost half of young adults are HIV+. Moreover, the nation now has thousands of oprhans who have no famly left. It is this huge challenge that Bruce Wilkinson hoped to address. Unfortunately (and understandably), for various reasons, his westernized approach to solving this crisis did not meet with favour among Swaziland’s decision-makers. To be honest, I am astounded at the public criticism Bruce has received from Christian circles, especially from people who do not know the first thing about ministry in Africa or the severity of the crisis Bruce endeavored to address. Rather than criticizing, it is better to pray for him and for Swaziland (and its leaders) out of compassion and concern, and, if God so leads, to commit to supporting or participating in projects which address such needs and issues from a Biblical perspective. If you would like a realistic but inspiring perspective of how the AIDS crisis is affecting Africa, be sure to catch the movie “Beat the Drum” when it tours on circuit. You will be moved. Though perhaps Bruce did not “wait” as some think he should have, it is important to understand that Swaziland faces a serious crisis – and this crisis moved Bruce to act NOW. Crisis and waiting do not usually go together. 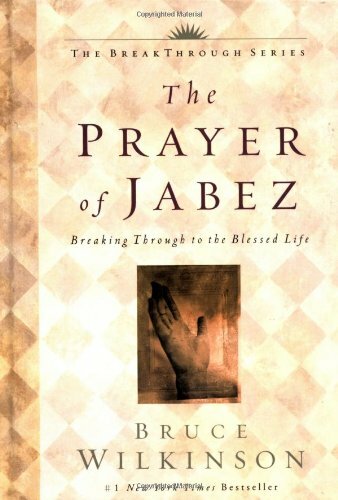 Incidentally, those who see “The Prayer of Jabez” as a prosperity type book have completely missed the point. God blesses us so that we can be a blessing; and we should daily entreat God to maximize our lives for His purposes. Thanks for an interesting blog. Let’s encourage and pray for one another. And, remember, even great leaders in the Bible sometimes failed. An interesting discussion, lively, and thought provoking. Let us remember that although we battle a defeated enemy and wage spiritual warfare from the position of Christ’s victory…it is warfare nonetheless and there will be deep wounds and even fatal wounds for those who enter the battle unprepared. It is true that the political, economic, cutural and behavioral issues surrounding the HIV/AIDS pandemic and resulting orphan crisis are complex. Western culture and African culture, wealth and poverty are all equal opportunity destroyers when manipulated by the rulers, authorities, and powers of this dark world and the spiritual forces of evil in the heavenly realms. What the Church in Africa needs most from brothers and sisters in Christ (around the world) as they fight for a generation of orphaned children is what Christ commands all of to do…make disciples. I pray that even in the midst of all the discussions surrounding Mr. Wilkinson’s departure from Africa, God will speak into the hearts of his faithful servants and call many to the harvest. For truly the fields are ripe for harvest in the fields of the fatherless. Thanks for your concern, for raising awareness, and for giving the orphan’s in Zambia your prayers. Blessings. Sorry, the last sentence should have read, “Thanks for your concern, for raising awareness, and for giving the orphan’s in Africa your prayers.” I leave for Zambia on Thursday so it was on my mind…Blessings. Interesting is what this is. Dan, I love the way you worded this editorial. I stumbled upon it seaching for the article on Dream for Africa and Bruce Wilkerson. A member of my church broke the news to me. You see, Mr. Wilkerson came to my church last year January and sold a dream. He was also promoting his new book. But more importantly, he was promoting Africa. Dream big and big things should happen? Here again, we have someone talking about the devestation that is Africa and saying God called us to do something about it. Which I believe is true. God does call us to give to those in need and to love all. So I went to Swaziland via South Africa with 150 other church members. Swaziland is smaller than Rhode Island. And we went to some of those homes where it was only children because the parents had died. We went to homes where children were already making decisions because the parent was sick. The flip side…all of it was not like that. We stayed in the capital where the king resides and has many wives and had recently purchased BMW’s for each of them. To reinterate something you touched on, the problem with Americans and any one else going into another country with a completely different system is understanding how to break down the barriers. The king controls Swaziland with a tight fist. Everything goes to him and his family first. And that’s the family considered in the royal loop. You must understand that of 900,000 people there, at least 40% are related to the king. Through his wives and his Daddy’s many wives. Those members of his family are sufferring as well. Dream for Africa was in the paper everyday the two weeks I was there. There was a lot of commentary from the Swazi on whether they were clear on what Bruce Wilkerson wanted to do in the country. It became a pretty picture with many flaws and that’s from the people I talked to and worked with everyday. As many of them are new Christians, a lot are also in old tradition. To the people on both sides of that coin… To them he (Bruce Wilkerson) is a white man asking for too much. Yes, there is devestation. Yes, people are dying. Help them figure out how to tackle that. Help them figure out how this next generation can not suffer again by them dying of AIDS like the parents. The Swazi have just gone through the aparteid on one side (South Africa) and are still in war on the other side (Mozambique). A white man coming in to say “I need all this land to make the dream work” is what the problem ended up being for the Dream for Africa project. I met wonderful people. In the organization and in Swaziland. Swaziland needs help. Africa needs help. Africa needs the weeping and the wailing and prayers and money and God. Don’t be happy for Mr. Wilkerson’s failure. Because in the project’s failure come another set back for another young person in Africa. Understand that the project failed on some levels, but take from the project and learn and create a better one where Africans can do what they need to survive. We can’t have a whole continent die. The experience of being with a child who may not see age 15 because there’s not enough food or enough medical care but she still smiles at you because your there holding her and loving her is a wonderful experience. So the project may have failed but the people who went, Christians who went should be changed. And the dream should remain alive. Only time will tell when it’s God’s time for Swaziland. The prayer is that the work which was started there was not in vain. I would go back to Swaziland tomorrow if that was God’s will. I came back with a better prayer life than when I went.